Giant cinema screen specialists IMAX is having a tough time. It has missed two quarter-year revenue targets, and its share price is languishing down dramatically (at $18.25 on August 29th, compared to $34 back on March 31st) and a 5-year low. The main reason is its poor box office performance, which the rest of the cinema industry has also experienced. 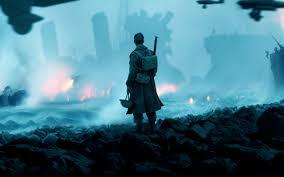 The recent Christopher Nolan directed Dunkirk did well, but that was the only hit of the usually blockbuster-filled summer season. The summer season for the movie industry as a whole has been miserable. Trade magazine Variety describes the summer as a “record low” and the “slowest box office in over a decade”. But analysts have other fears for IMAX. Top of their list is that a number of other major cinema chains are following the IMAX model, not in giant screens but by installing better-quality and reclining seats. Cinema chains are talking about Moviepass, a $9.95 per month ‘all you can view’ admission entry rate for 2D movies. Of course, high-quality home entertainment, whether Game of Thrones, or any number of Netflix or Amazon Prime television shows, are also a negative for the cinema industry. The company has also used the low share price to buy back for cancellation some $200 million of shares.